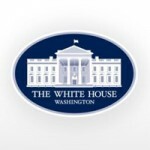 WASHINGTON, December 20, 2013 – The Transportation Security Administration will officially extend its Precheck expedited screening benefits to all U.S. service members including members of the U.S. Coast Guard, according to a Defense Department news release. As the result of the ongoing partnership with the Department of Defense (DoD), the Transportation Security Administration (TSA) will officially extend tomorrow TSA Precheck expedited screening benefits to all U.S. service members. Service members, including those serving in the U.S. Coast Guard, reserves and National Guard will be able to enjoy the benefits of this expedited screening program at more than 100 participating airports when flying on nine major U.S. airlines. If a service member has entered their DoD identification number correctly in a flight reservation, they will be permitted access to TSA Precheck lanes. The expedited screening will allow service members to keep their footwear on as well as light outerwear, laptop in its case and their 3-1-1 compliant liquids/gels bag in a carry on in select screening lanes. More than 30 million passengers have experienced TSA Precheck since it launched in October 2011. DoD has worked closely with service members worldwide to inform them of the process of updating current and/or future reservations along with their airline profiles to include their DoD identification number. That ID number will be used as their Known Traveler Number, and enables TSA to expand the program to all airports offering TSA Precheck. 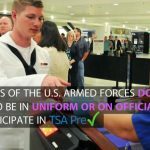 Previously, members of the U.S. Armed Forces could utilize TSA Precheck lanes at 10 domestic airports by presenting their Common Access Card (CAC). TSA will always incorporate random and unpredictable security measures throughout the airport. No individual will be guaranteed expedited screening. Travelers can check the TSA Precheck Participating Airports page for information on locations of active TSA Precheck lanes. Further information on TSA Precheck for military members can be found at www.TSA.gov and www.defensetravel.dod.mil.